Forefront TMG 2010 Related | Syed Jahanzaib Personal Blog to Share Knowledge ! 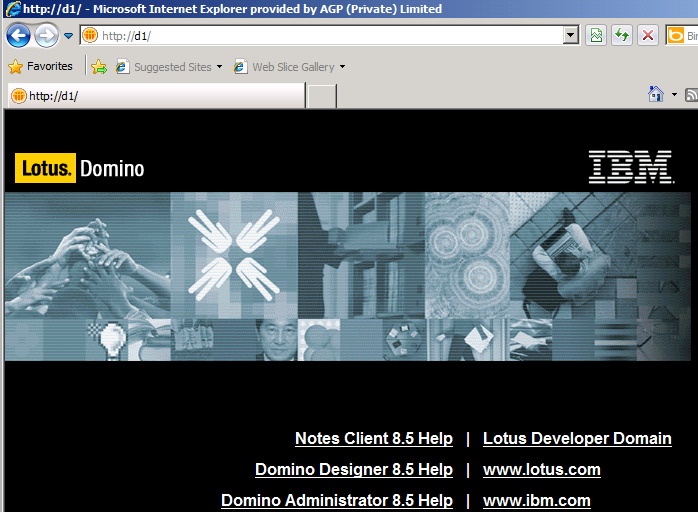 We are using VMWARE Esxi 5.0 server hosting few VM guests. One of our guest machine which is acting as proxy/filter system (Forefront TMG 2010 ) for our users, its disk space was getting lower (as its total size was 60 GB only). I installed this TMG in year 2012 & I was missing its patches / service packs therefore I was avoiding doing fresh installation. As per Vmware documentation, you cannot increase IDE disk size. I tried another workaround but for some reasons, it didn’t worked in my case. I used below workaround & it worked perfectly for me. 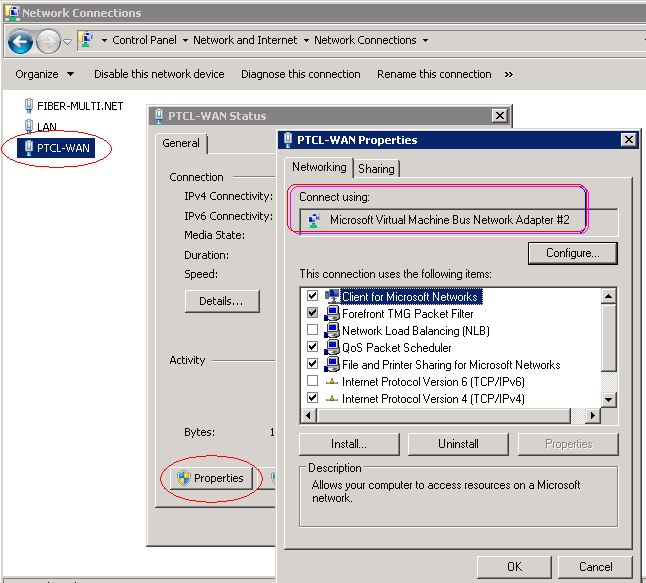 Power OFF the Target guest VM. 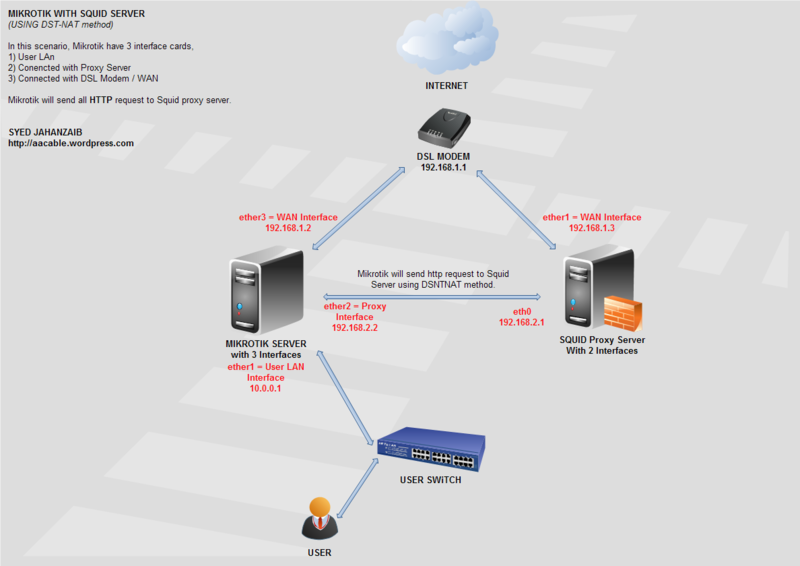 Login to ESXI Server via putty or any SSH client. Depends on your hardware speed, it may take some time to complete the operation. I had some good IBM hardware & it took around 1-2 minutes to increase the size from 60GB to 200GB. After few minutes it will populate to ESXI client automatically. Now power ON the guest machine, and increase the size as required , either using Windwos Disk Management tool or cmd. I used MiniTool Partition Wizard Server Edition 7.1 which worked beautifully to complete the task without any hassle. Below is Image after the task finished. Forefront TMG 2010 , Controlling High SQL Memory Usage ! Recently I deployed Forefront TMG 2010 in my company, and I was facing High memory usage by sqlservr.exe which was using over 1.5 GB of memory. So I limit its usage by using following method. 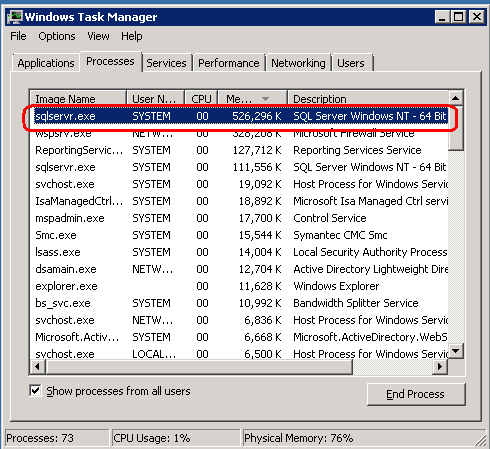 Now open Task Manager and see the sqlservr.exe memory usage. For more info, Use the below article at Richard Hicks Blog. 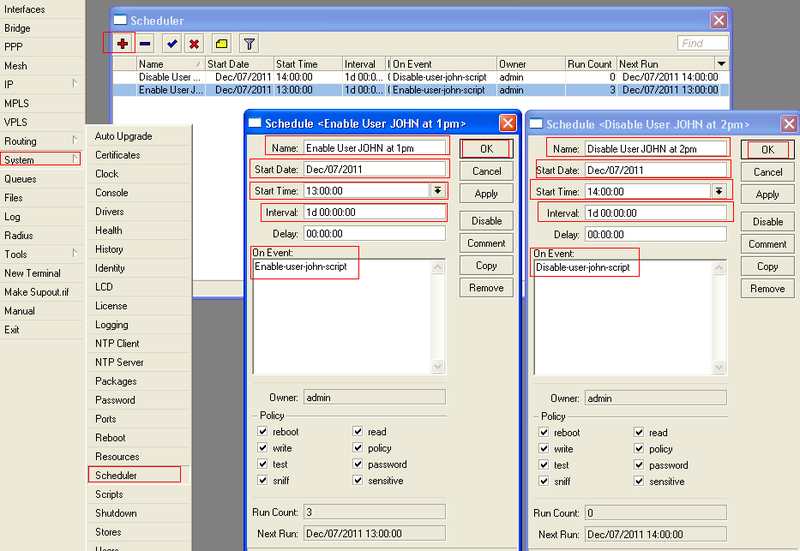 Copy Paste the following code in notepad, and save it as TMG.VBS and edit it as per your requirement. then double click it to run on TMG. 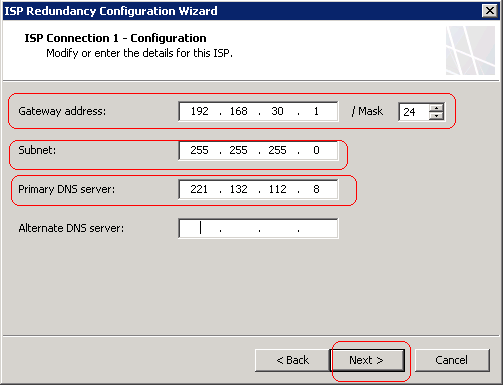 In the default setting, TMG checks the status of the ISP link by trying to establish a TCP connection on port 53 (DNS zone transfer) to a list* of root DNS server on a round robin basis. If a connection can be established, TMG will consider the link active. 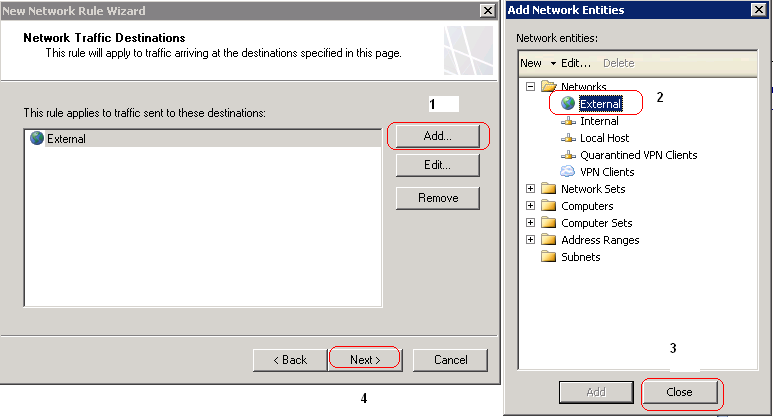 Although, the IP addresses and the TCP port used for the verification cannot be configured directly from the management console, If you need to modify these settings, e.g. because you setup your TMG server without direct access to the internet, you can do this by using the TMG COM, through simple Visual Basic script like this one: Following script is to change the root dns entries in TMG , which are used while tracking link detection. Scenario: I have 2 WAN Internet Connections, and I want that if primary link fails (or looses its connectivity with the ISP/internet) TMG should automatically switch over to secondary link, and when primary link gets back online, TMG should switch back to Primary Link. 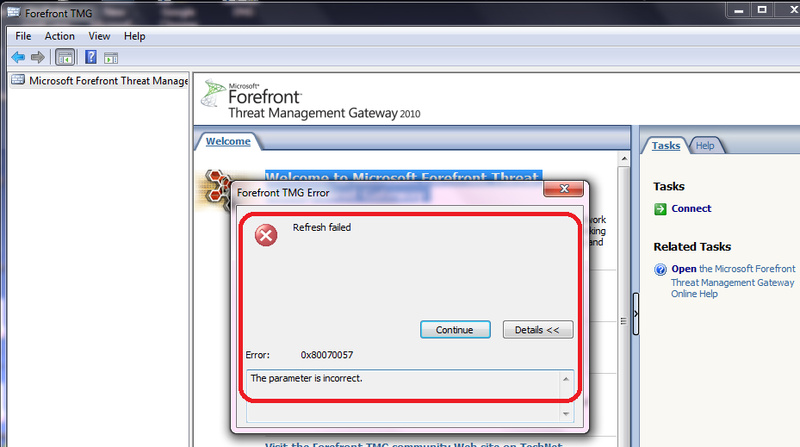 Forefront TMG 2010 is the latest proxy/firewall server from Microsoft. 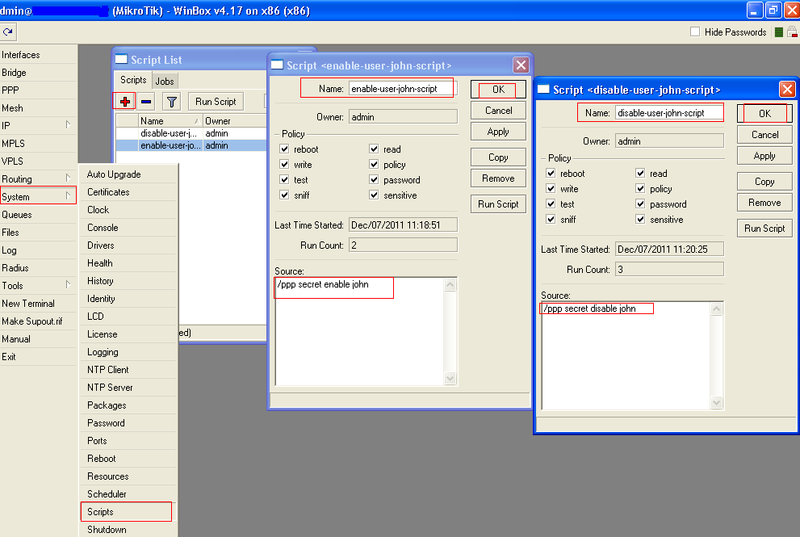 It have many new exciting features which makes it very good , reliable and rich feature application. 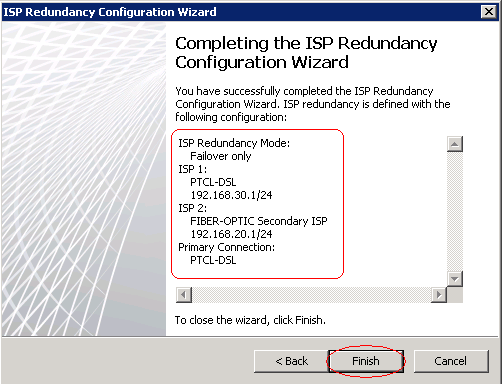 One of the greatest (and most demanding) new features of Microsoft Forefront TMG is ISP Redundancy. 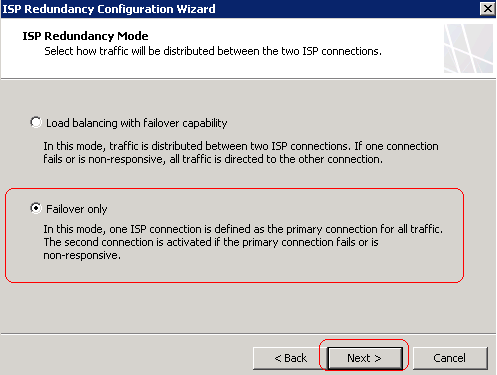 With the help of this feature it is now possible to load balance the network traffic between two different ISPs . 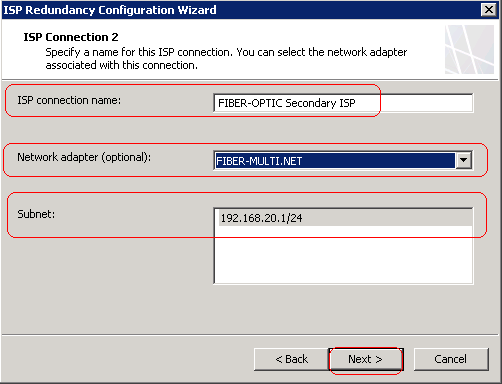 One other configuration mode is the ability to configure Microsoft Forefront TMG for ISP Failover (Which is discussed later in this article). 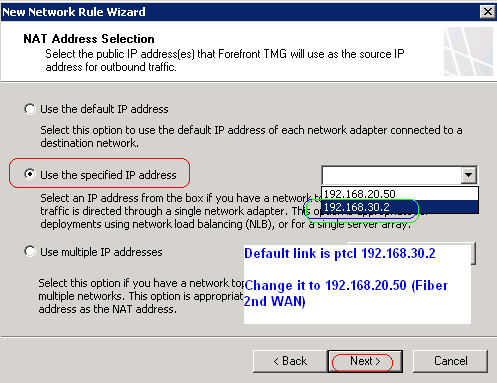 In this case, Forefront TMG will use one ISP link as the primary connection, and if this link gets broken, TMG will automatically failover to the second configured ISP. 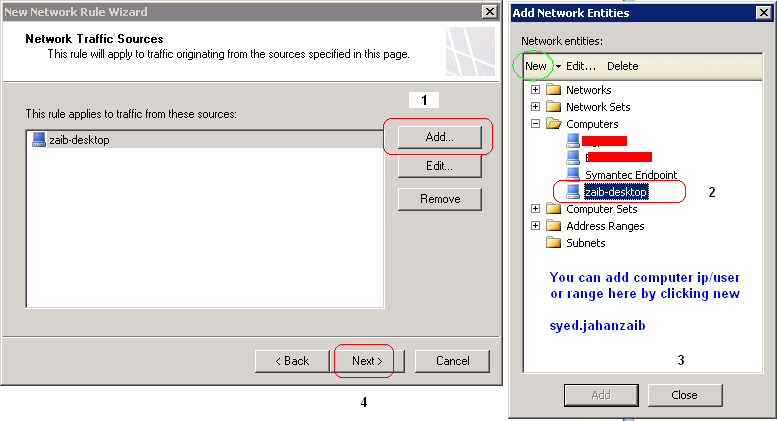 1) Two Separate WAN connections connected with TMG , both should be fully configured with there respective IP , gateway and DNS. All done, It will show the final config on your screen, just select FINISH. Now the Important Part. 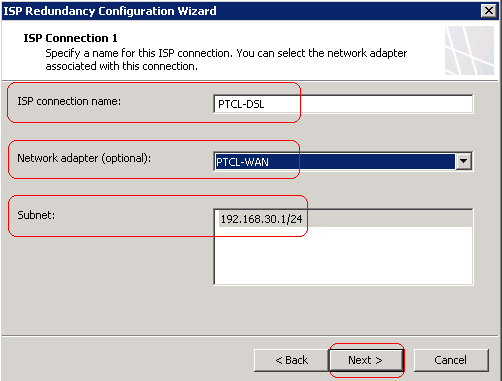 We Must add static route to tell TMG via route that if specific WAN link looses its connectivity , it should switch over to secondary link. 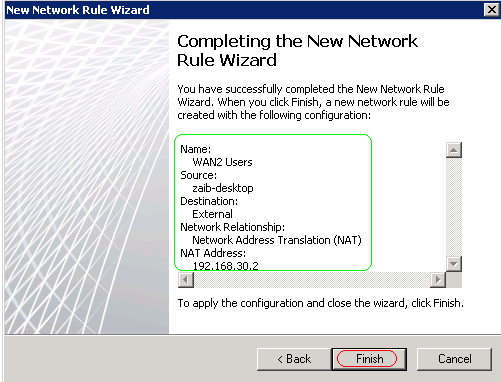 First you have to see what network interface have which code, this code will be used in route command to tell which interface rule would be applied. 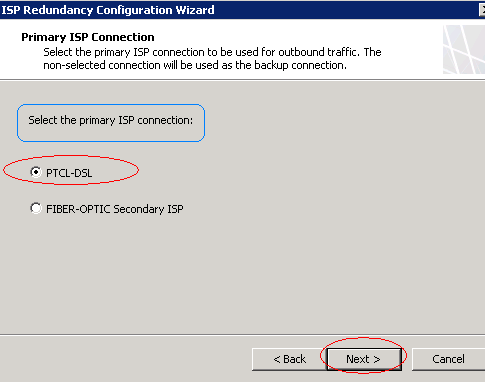 the above command will tell TMG to go through Specific link for DNS Server status, so if primary link looses it connectivity with the internet(connectivity with the 221.132.112.8 via ISP1, ) it will switch over to ISP2 , it will periodically check primary link connectivity, as soon it restores, it will switch back to primary link. Now hit APPLY button to make changes. 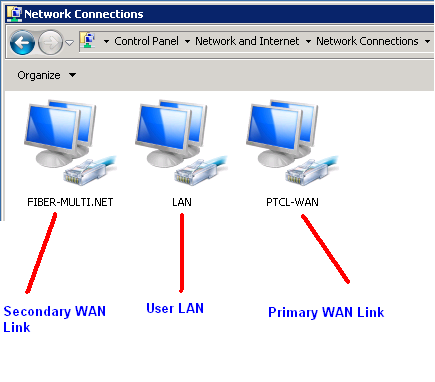 BEFORE NETWORK RULE: User request is routing through Default First WAN link (PTCL). 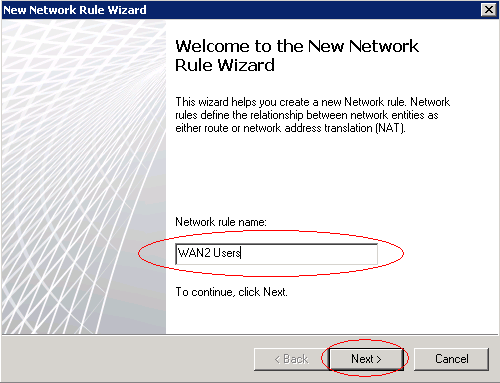 AFTER NETWORK RULE: User request is now routing through second WAN link (FIBER). 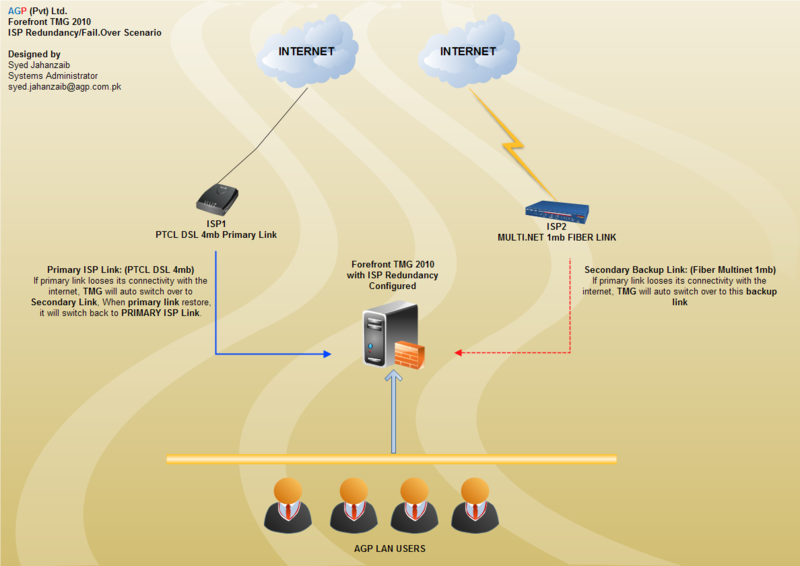 To determine the availability of a particular ISP connection, TMG performs dead link detection by randomly polling one of the thirteen Internet root DNS servers on TCP port 53 (when TMG is deployed as a back firewall, make certain that TCP port 53 is open to the Internet). 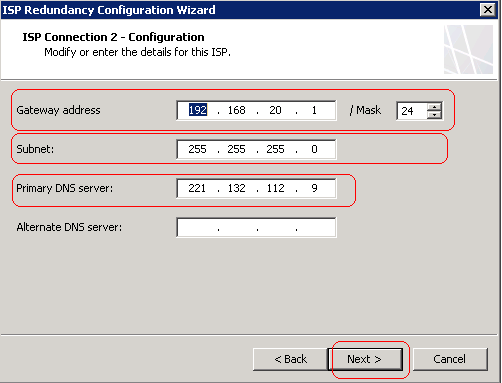 If the selected root DNS server responds, TMG considers the connection available. If it does not respond, TMG will poll additional root DNS servers at one minute intervals. 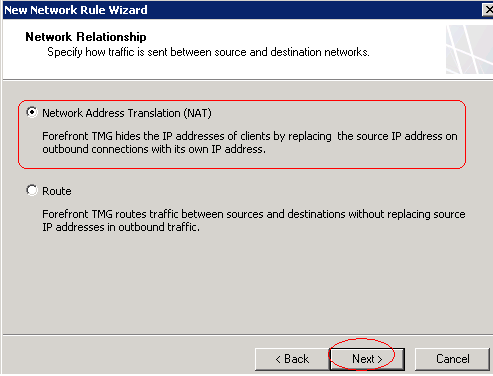 If no replies are received after three consecutive attempts, TMG considers the connection unavailable and raises an alert. Once TMG identifies a connection as unavailable, it will wait for five minutes before attempting to poll again. Once it receives a response, TMG will continue polling at one minute intervals. When three consecutive responses have been received, TMG will consider the connection available. A link has to be stable for at least 3 minutes once TMG will bring the link up again. I took help from following websites for this article , I copied some text from following websites for general information. You can find Some Good Reference for more detailed and step by step guides.